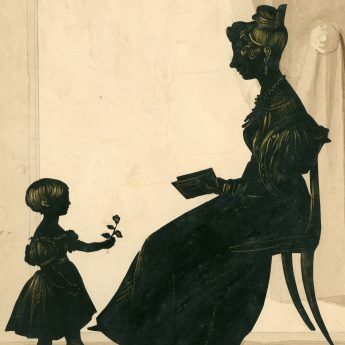 This charming cut silhouette portrays a mother with her young daughter. An inscription on the reverse names them as Mrs Maxwell Thomas and her daughter Margaret. Sitting before a draped window with an open book in her hand, Mrs Thomas is wearing a dress with demi-gigot sleeves. She has a beaded necklace and gold drop earrings, her hair upswept and secured with a large comb. 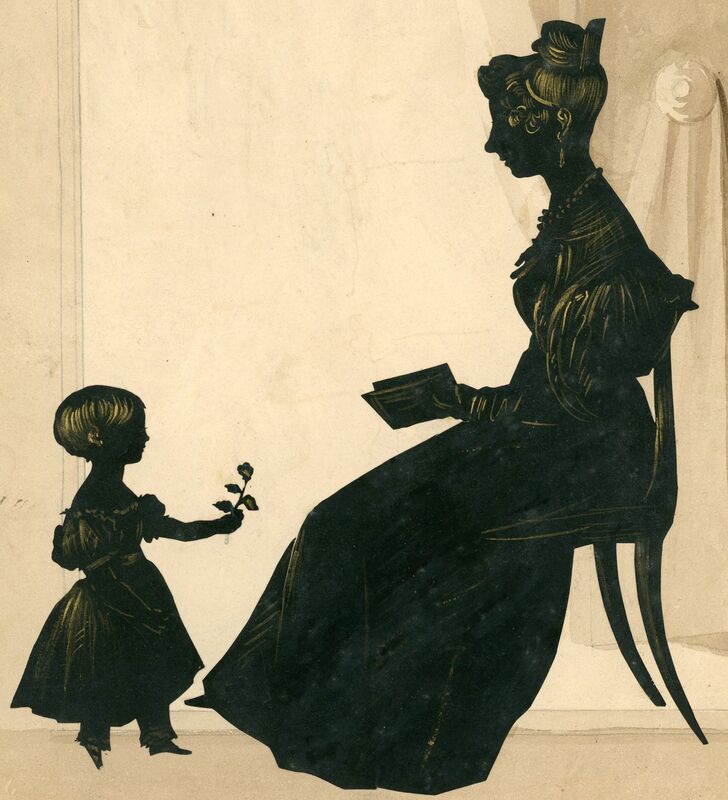 The child has a low-cut dress and pantaloons and is sweetly holding out a flower to her mother. 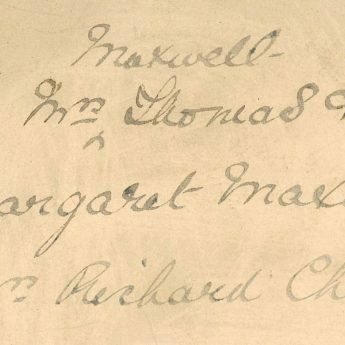 Genealogical records show that Margaret Maxwell Thomas was baptised at Lambeth in 1830. She married Henry Blenkinsop in 1850 – the marriage licence lists her as a minor as she was not yet 21 at the time. Blenkinsop was a solicitor. Following his premature death, Margaret then married her first husband’s business partner, Richard Child Heath. 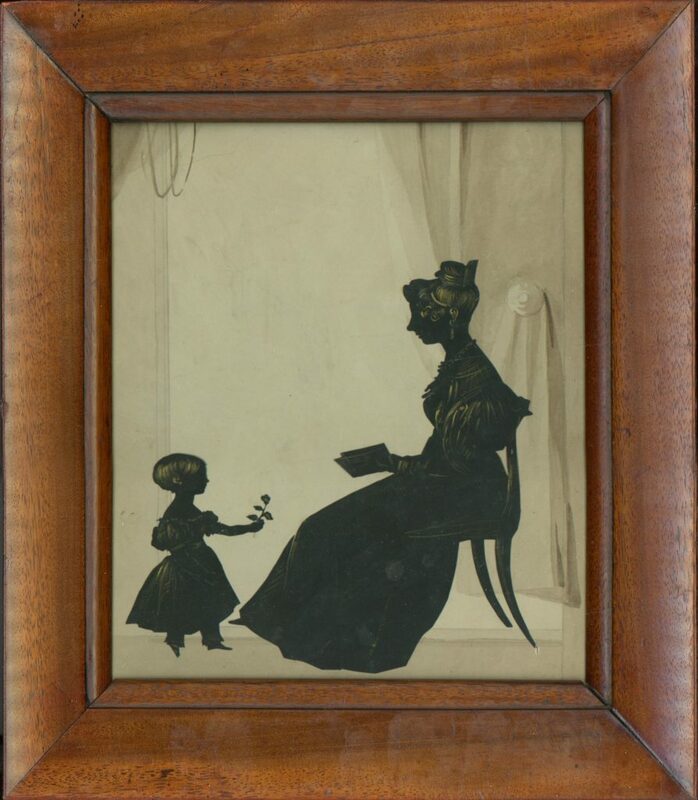 The silhouette is cut and gilded with a sepia watercolour backdrop. It is presented in a period mahogany frame with old glass.